The SBA Sports Management and Entertainment Group is pleased to announce that the Street Basketball Association has been contracted to manage, market, and recruit athletes for the upcoming reality basketball television show, “America’s Next Sports Star.” In addition, the SBA will use its resources to secure venue locations, media partners, top coaches, and celebrity judges interested in being part of the Reality Show. 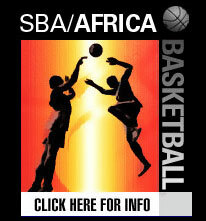 On Sunday, Novebmer 9th, 2008, the SBA will be facilitating the “AMERICA'S NEXT SPORTS STAR” free, open auditions for basketball players in the Los Angeles area. Using the Reality TV formula, players have been auditioning their talent all over the country for the upcoming basketball television reality series, America's Next Sports Star, a new weekly reality show that offers athletes the opportunity of a lifetime. It combines the excitement of a professional sporting event with the intuitiveness and daring of a reality show. In this sports version of American Idol, contestants compete to determine the nation's best athletes. This is a lively, action-filled program that draws upon the excitement from the grandfather of all reality genres -SPORTS. Auditions will be held seeking the best athletes in various sports, beginning with Men's Basketball. Top candidates will arrive at the filming location for a shot at stardom. The contestants who survive the trials of competition move on to the next round where the challenges become more difficult, and the athletes' resiliency and determination are tested even further. How many times have you thought you could hold your own with the best three point shooters in the NBA? Or felt that you are one of the best slam-dunk artists the world doesn't know? 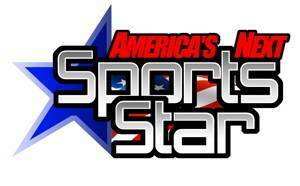 Now you have the opportunity to display those talents in front of a national TV audience on America's Next Sports Star!" Players who end up making the show will be flown to Las Vegas to film the show competing for cash prizes and a chance to go straight from the TV Show to a spot in the PROS! Celebrity coaches and players will be added to the filming of the Show to add some flare giving tips to the viewing and studio audience on how to improve their game. Former NBA and 3-point Champion Craig Hodges and Legendary Coach Jerry Tarkanian have come aboard as judges and coaches.